Alder BioPharmaceuticals has submitted a Biologics License Application to the FDA for eptinezumab, an investigational monoclonal antibody for migraine prevention. Duchenne affects an estimated 1 in approximately every 3,500-5,000 males born worldwide. The Food and Drug Administration (FDA) has granted Orphan Drug designation to APX001 for the treatment of cryptococcosis. 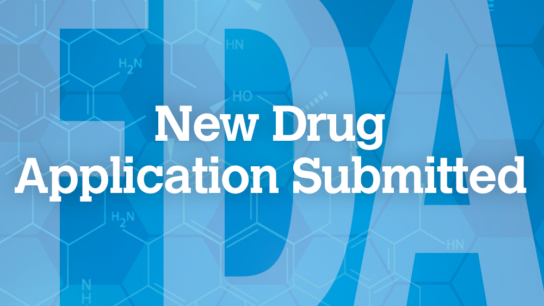 In the Complete Response Letter, the FDA noted that it was unable to approve the application in its present form, however the Agency did not request additional clinical studies. Crenezumab is an investigational monoclonal antibody that preferentially binds to and promotes the removal of neurotoxic oligomers, a form of beta-amyloid. Tosymra is an intranasal spray containing sumatriptan 10mg, a selective 5-HT1B/1D receptor agonist. Buprenorphine appears to be the optimal pharmacological treatment for neonatal abstinence syndrome. The NDA includes data from two Phase 3 clinical trials (SUNRISE 1 and SUNRISE 2) which included approximately 2000 patients. The news comes after FDA Commissioner Scott Gottlieb, MD announced last week a plan to recall some furloughed workers to conduct inspections.